Glossy, thick and beautiful hair was a sign of good health and can increase confidence, so people in general and women in particular have always paid a lot of interest to their hair care. It is normal to lose 50 to 100 hairs every day as a normal part of the renewal process of the body. However, when you see an abnormal loss of hair that you should start taking measures to stop this. There are many reasons why hair falls out. It may be lack of appropriate nutrition, mental strain, environmental effects, aging, genetic, menopause, pregnancy, and so on. 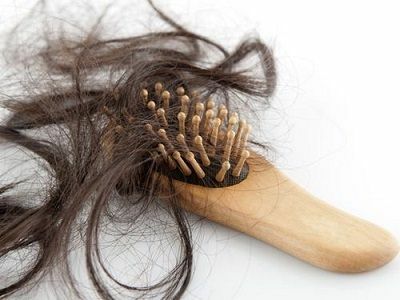 Hair loss is a common condition that many people suffer from. Fortunately, there are some natural home remedies for hair loss are cheap, effective and without any side effects. Sulfur in black and white onions increases the production of collagen, which helps the growth of new hair. Sulfur is also helpful to improve blood circulation to the hair follicles and reduce inflammation. In a 2002 study published in the Journal of Dermatology, almost 74 percent of the study participants who applied onion juice on the scalp experienced significant hair regrowth. To apply onion, you need to chop it finely and extract out the juice. Massage the scalp well with this juice. Let it be there for, preferably one hour. If not, leave it there at least for 15 minutes, then rinse. Repeat treatment two or three times a week. Apple cider vinegar works at many levels to nourish our hair and create a healthy scalp for strong hair growth. It provides much-needed nourishment to hair as it contains potassium. Apple cider vinegar also balancing hair and scalp pH, removing product buildup. Just add apple cider vinegar with water and use it as a final rinse for your hair each time you shampoo your hair. This natural hair care product can be used once a week or as needed. Aloe Vera is a known remedy for skin problems and also hair loss treatment. Aloe vera contains enzymes that directly promote healthy hair growth. Its alkalizing properties also help in maintaining hair’s pH level at optimum level promoting hair growth. Pure aloe gel or aloe juice can be applied directly to the scalp. Wait for a few hours and wash it away with lukewarm water. Do this three to four times a week for a few months to get a good volume of hair. Coconut milk is one of the richest sources to nourish the tissues of hair. Coconut milk contains a number of proteins, fatty acids, and iron. All of these, when combined, can strengthen your hair and drastically reduce the risk of premature hair breakage. Coconut milk can be applied directly to the hair roots and scalp, leave it for 15-20 minutes after covering with a towel, and then rinse it with warm water. This treatment is repeated twice a week for 2 months. If you are facing premature graying of your hair then this therapy is much useful. Egg is one of the most known home remedy for hair loss. Hair is primarily made up of protein, so you need to eat protein-based foods like eggs to keep your hair healthy. In addition, you can also break one or two eggs and apply it to the roots, but also the entire length of the hair. Let it sit there for about 1 hour, preferably covered with a shower cap. After 1 hour you can wash off with mild shampoo and water. A great remedy for hair loss is use essential oils combined with a scalp massage. Getting a head massage will help improve blood circulation, which in turn keeps the hair follicles active. The warmed up skin during massage opens up the blood vessels that help in greater nutrient intake. It will also promote relaxation and reduce feelings of stress. Recommended oils including coconut oil, olive oil, almond oil, or others. Add a few drops of rosemary essential oil to the base oil for better and faster results.